The SFL 2015 Men’s Div 1 match that happened at Hougang Sports Hall over the weekend saw NUS Nemesis going up against Skools Innebandy. It was definitely intensity-fueled with the sports hall roaring with cheers for both sides and our girls had an awesome time going down to support NUS Nemesis judging by the looks of their faces. 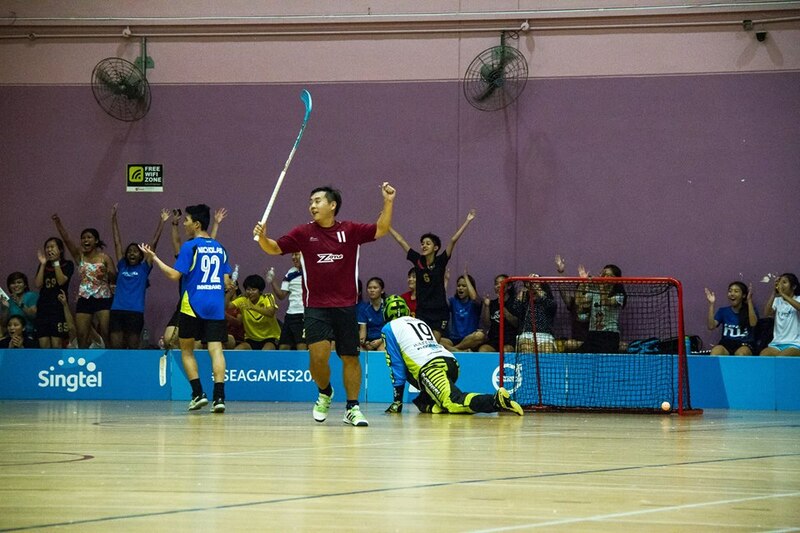 In the end, NUS Nemesis went home the winning team with a score of 9-7. Great job! For more photos, head on over to Voxsports’ Flickr page. Alternatively, you can keep up to date via the Voxsports Facebook page.